Welcome to the October 2012 Ride of the Month Nomination Thread! This is the place to nominate your favorite forum bikes for the ROTM competition, or to post up your own ride for a nomination. Let's bring back a classic guys, please nominate my F3!!!! 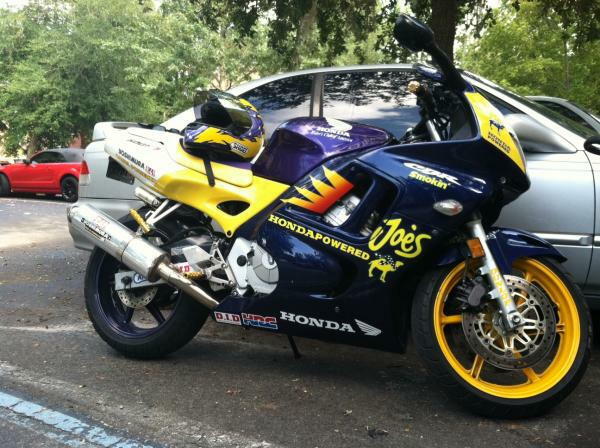 I would like to nominate Josh Carter's superbly executed CBR1000F Street fighter. Second Josh Carter and his bike. Great job ! I'll 2nd sifiwiz's smoking Joe's F3. I'll 2nd NewSense45 if I can? Quick Reply: October 2012 ROTM Nomination Thread!